For those that remember the postcard we received a few days ago with the enigmatic “Wish You Were Here” message, we can now point you towards something more than just a vague location in New York City. A comment was left for that article by prototype161, stating, “Infringement will not be tolerated. Your sticker has been removed.” This led us to look at prototype161.com, which is the home of prototype161 investigations. There’s a client section which offers solutions when “problems cannot be solved by ordinary methods,” and a recruitment section that reveals details about a live event in New York on July 12th. Two days ago, a letter was received, addressed to me, telling me that I have been selected as a prospective agent of prototype161. According to the letter, I will play a vital role in the development of a new “perscrutative method” — yes, I had to look up perscrutative, and it means thorough search — in the evening of July 12th. I hope that my vital role can be played as I sit at home, because I won’t be in New York City on the 12th. The letter encourages me to assemble a team of not more than eight people, and notes that if I am unable to locate a sufficient number of friends, some will be provided for me. What are you saying, mysterious recruiter, I can’t find my own friends?! Just kidding. The only potential puzzle I’ve found so far is on the letter itself — the footer contains the text prototype161 form LMTH.”EUR”, with the E in EUR red in color. Our friend Sean C. Stacey at Despoiler received a postcard and a letter as well, and there is an ongoing thread at the Unfiction forums for developments thus far. 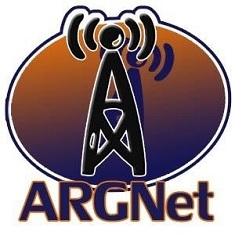 If you are in the New York area and wish to represent ARGNet at the recruitment event, drop us a comment or a voicemail and we’ll get in touch. Anyone attending the event that is able to take pictures or video, please send them our way, with our thanks and appreciation! Hello, I will be in NYC on July 12th. I have a digital camera and would be happy to take pictures. Do you still need people? I’ll be there with some friends! Wonder if there will be Zombies there?? ?